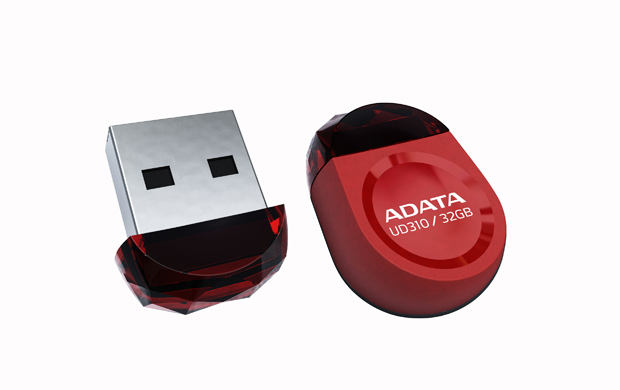 The DashDrive Durable UD310 USB Flash Drive is a convenient and robust storage medium. The advanced technology COB (chip-on-board) provides an unbeatable water-resistance. Modeled due to its small size, the shape of a gemstone, the UD310 left connected permanently to a laptop or Ultrabook, without being in the way of other devices. The glittering, diamond-shaped cap is the highlight of the UD310, the USB port on a laptop or desktop computer occupies very little space. The UD310 allows almost limitless storing pictures, music and video files - an ideal accessory for Ultrabooks and many other demanding small-sized electronic devices. It guarantees the user that his valuable data is always protected.